Scheduled daily work flow of production in order to meet strict deadlines. Fabricated high end, temporary tournament monument signs and banners for television broadcasts and tournament sponsors. Assisted with project logistics and scheduled frequent travel arrangements for setup of on-site sign shop that catered exclusively to Senior PGA and USGA tournaments, including Royal Caribbean Classic, Senior Open, Honda Classic, Siebel Classic, BellSouth Classic, Toshiba Classic. Scheduled visits to neighborhood business to distribute company literature and acquire new customers. Provided quotes to potential clients using Casper software. Worked closely with customers to design and produce signs. Created competitive pricing forms to distribute to potential real estate customers. Attended city hosted networking events to increase sales. Acquired large accounts through direct sales and cold calling. In charge of all aspects of sign production including; Ordering of materials, assigning tasks among staff, design and develop custom signs for clients. Worked closely with City of Hollywood events coordinators to produce signs for city events. In charge of creating forms organize large scale golf tournament projects. Designed custom laser engraved and hand cut 3D letters. Provided sign solutions and successful graphics for marketing campaigns for high profile clients including Starbucks, City of Hollywood, Guava & Java, Froots, Hollywood Arts and Culture Center. My knowledge of vehicle wrap design and installation helped create a new stream of revenue for this new company. Designed spec sheets to submit to city for permitting of large pylon, L.E.D, and monument signs. I handled large scale printing on a wide variety of media. 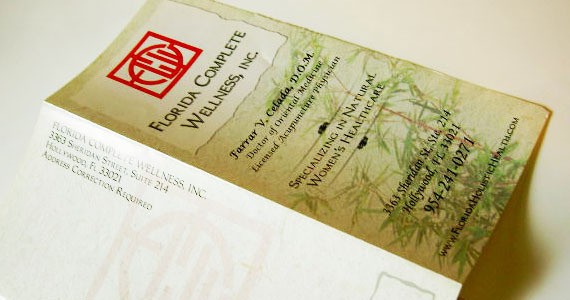 Worked closely with clients on layout and concept designs for logos and custom signage. Led morning work progress meetings. I am currently interested in freelance opportunities developing usability compliant web sites, content management systems and ecommerce solutions. Excellentcommunication and client relation skills in high pressure situations.Proven creative abilities in various art mediums.